Water, Glycerin, Marigold Extract, Aloe Vera Extract, Green Tea Extract. apply onto a piece of cotton or soft tissue and gently clean the entire skin of face and neck. 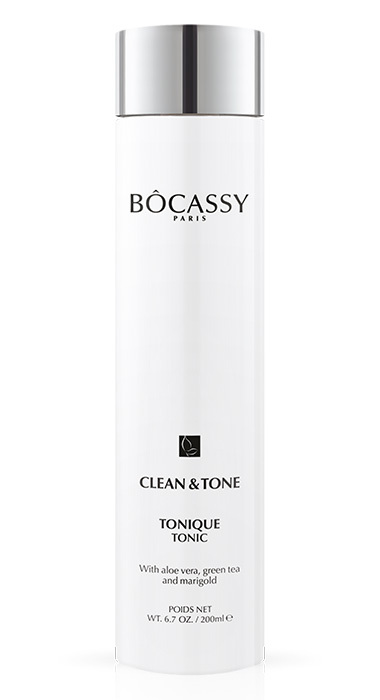 Toning is to follow make-up removal to ensure total cleaning and refreshment. Repeat this as long as there are impurities visible on the cotton after cleaning (approximately 1-2 times is enough). Use in the evening after make-up removal and before applying the cream, and if desired use in the morning also before cream treatment. Tonic is a mild herbal cleanser. It has no perfumes as I wanted for all to enjoy the pleasant smell of herbs. So, it is scented and coloured by herbs. It removes daily gathered impurities from the skin surface to ensure that cream will be applied to the clean skin. As the cream absorbs into the skin, it will, unless cleaned, absorb all impurities gathered from our environment. That is why toning is of major importance and vital to night care. Tonic is a leave-on product and with its mild and gentle ingredients will only add benefit to your complete nourishment.